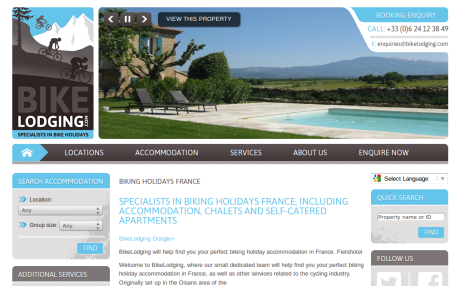 BikeLodging.com is a company that offers accommodation and other services for cycling holidays all over western Europe. 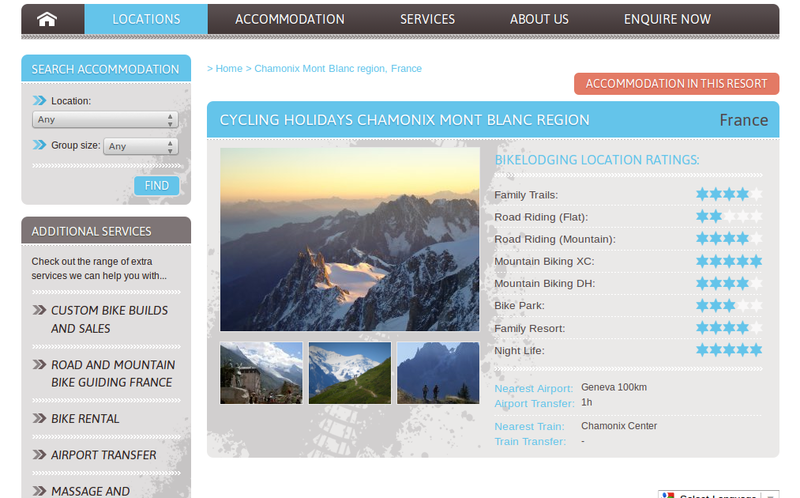 Their website was based on work we had done for Alps-Rentals and Big Hill Adventures but includes further improvements including sub-resorts and more advanced banner placement. Partner logos can now be placed on on any page of the website so partners who provide services in one resort don't get advertised on inappropriate resort and property pages. 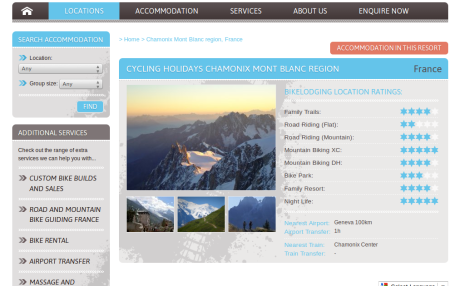 The website also uses SEO friendly URLs that had to be implemented using NginX rewrite directives rather than the more traditional Apache mod_rewrite engine.